Here today to show you a special birthday card I made for my Father in Law who reaches the grand old age of 94 today. Happy Birthday Norman! For many years he kept several beehives and was known in the local area (and further afield) as somewhat of a bee-keeping expert - he even wrote a couple of books on the subject. 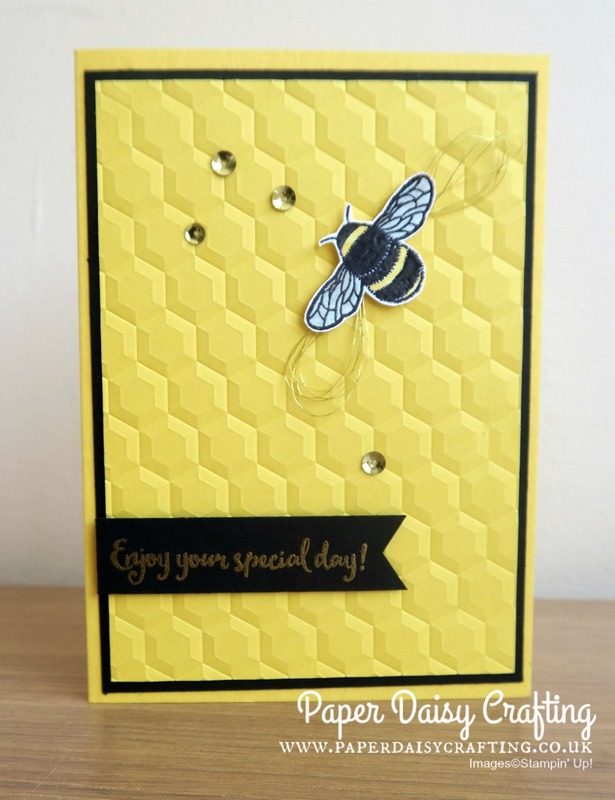 So to make his card for this year I decided to break open my Dragonfly Dreams stamp set and use the beautiful bee image as the centre-piece. I'm ashamed to say that this is the first time I have used this stamp set, despite buying it ages ago! 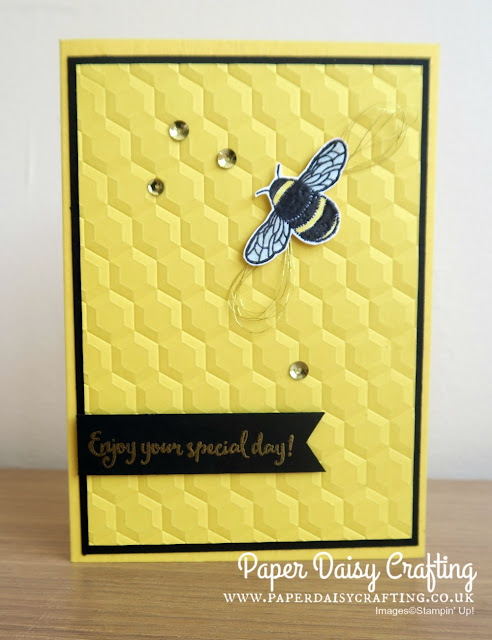 My card was totally inspired (and copied) by a swap I received at a Stampin' Up! event in the past. Sadly I've lost details of the demo who swapped with me, but whoever you were, thank you for your inspiration! I'm not sure how much detail you can see in the photos. 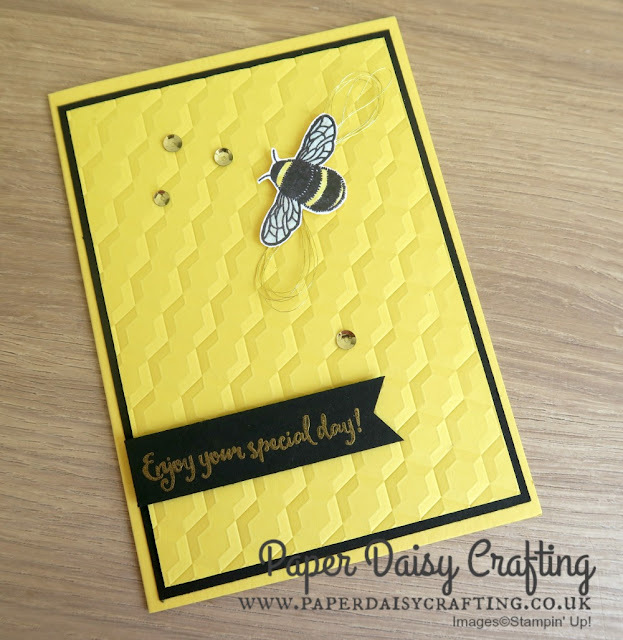 I have embossed the bee in black so he is really shiny! I have chosen to fussy cut him rather than use the die in the coordinating set. And have used some loops of metallic thread behind him. Oh, and look at that fabulous Hexagons embossing folder. Now I've opened this set I have loads more ideas so watch out for more projects using this set....so many stamps, so little time, sigh!